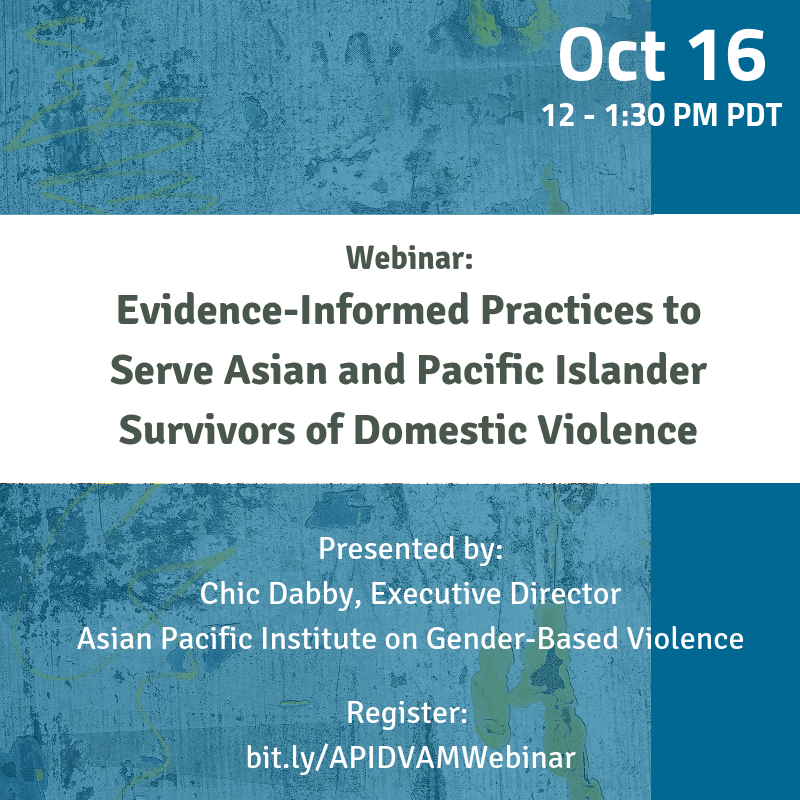 To address the domestic violence dynamics and trends in Asian and Pacific Islander (API) communities, advocates have designed programs based on an intimate knowledge of their communities and the needs of API survivors. This webinar will identify the differing dynamics and current domestic violence trends API immigrant and refugee survivors are facing. It will describe the A-Z Advocacy Model's inventory of evidence-informed practices and the foundational principles that anchor this unique model. Content: This webinar will address mandatory reporting laws across the nation as they apply to cases of intimate partner violence. It will describe the history and different types of mandatory reporting laws that directly and indirectly impact survivors; and will highlight research findings on women’s views of these laws and how they impact help-seeking. The session will also describe Kentucky’s experience of evaluating and ultimately changing its mandatory reporting law, including highlighting a recently published research study conducted in the state. The goal of the webinar is to expand awareness by states of mandatory reporting laws and how they dramatically impact women; and to offer legislative strategies for states that wish to improve their state statutes.